Last week we took a look at Kansas City Royals superstar, George Brett, and this week we’re going to go back even further with a baseball legend in pinstripes! While there are many, many Yankee greats, Mickey Mantle was among the best of them all. He is considered one of the greatest baseball players of all time and also THE best switch hitter to play the game. Mickey Mantle has so many amazing stats it’s almost impossible to list them all here. He was MVP 3 times in his career, a 16-time All-Star and Triple Crown winner in 1956 — that means he won the batting title, hit the most home runs and runs batted in! Not to mention he helped the Yankees win the World Series SEVEN TIMES in his career! Mantle wasn’t always beloved in New York because of his Oklahoma roots and playing in the shadow of another legend, Joe DiMaggio. But “The Mick” won over the team’s fans with serious success on the baseball diamond and he became made one of the most famous ballplayers in the world! Who is your favorite Yankee of all time? Tell us on the FunGoPlay Forums! 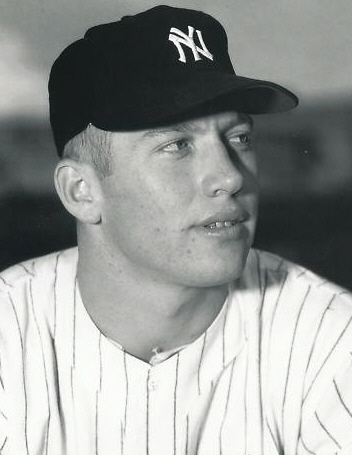 Posted by fungoplay on August 19, 2011 in Sports and tagged baseball, legend, mickey mantle, sports, yankees.